Hemp Honey liquid bring you the best in 100% natural CBD Rich Hemp Oil. Extracted using the most efficient and safest CO2 processes, our “Gold Standard” CBD eliquids are some of the best cannabidiol products currently on the market, testing at up to five times higher concentrations than our competitors. Our team of mixologists have hand-crafted our organic flavor blends with the highest quality eliquid base to put the gold standard stamp on each bottle of gluten free, non-GMO, CBD Rich Hemp Oil. 150MG of CBD per 10ml bottle ensures a high concentration of the cannabidiol our customers seek for positive benefits. High percentage of USP Food Grade, Kosher VG gives maximum vapor and flavor delivery. 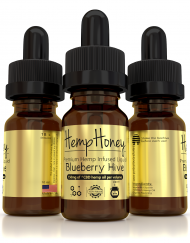 USDA Grade Organic flavorings combine sweet fruit flavors and creamy, full-bodied undertones, make using Hemp Honey liquids an enchanting experience. 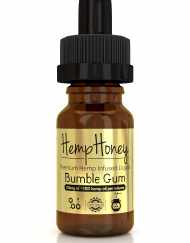 The Hemp Honey team takes pride in providing premium CBD rich hemp oils for today’s markets. We value quality, presentation, and flavor, and hold ourselves to the highest standard in eliquid production. Contact us for information regarding wholesale distribution and affiliate programs. View Cart “APPLE CRUMBLE” has been added to your cart.